When I buy something, I immediately think of all the things I already have that I can wear it with. Wearing something once is a sin in my book and I love to be able to mix and match as much of my wardrobe as possible. Because of this, I decided to start sharing my fashion picks in multiple looks. I hope y’all enjoy Two Way Tuesday as much as I’ve enjoyed putting these looks together! 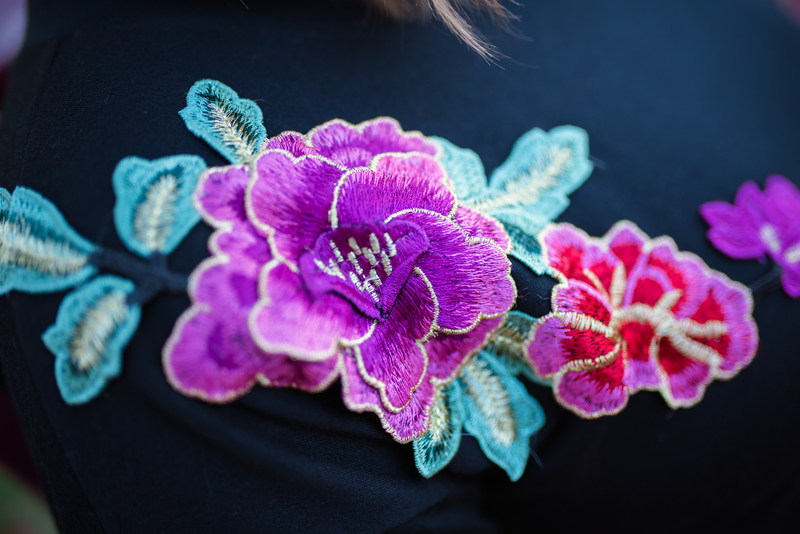 I am loving jewel tones this Fall and the appliqué on this dress is perfection! The material of the dress is a little thicker than your normal knit and honestly feels like a sweatshirt on the inside… SO COMFY! I love this look for dinner and drinks. It’s simple, but the shoes dress it up a little bit. The dress is from Marshall’s (I’m a bargain hunter, guys) and was less than $20. The earrings are from Red Dress Boutique and come in several colors. I was looking for a fun, hot pink earring for months and loved this pair and the price point. These shoes were a steal from Nordstrom Rack. I got them during the Clear the Rack sale for under $20. This second look is something I wear to work. The sweater is great as we transition into fall and the black booties make it a little more office appropriate. This sweater is from Lilly Pulizter and it’s actually a couple years old, but I have a few linked below. My jewelry is from the wonderful, Lindsay Parker. I love the 80s vibe of the jewelry. It makes the outfit fun, but it’s not too overstated. These shoes are Cole Haan that I found at the Clear the Rack sale as well. They are so comfortable and fit true to size.